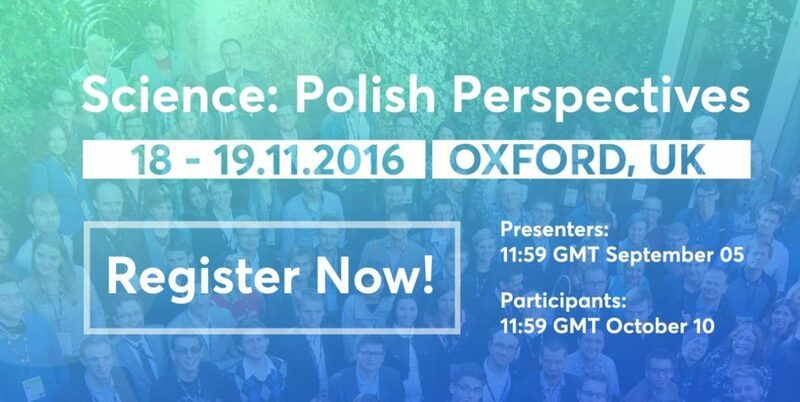 Young Polish researchers working abroad can register for the conference “Science: Polish Perspectives” which will be held on 18–19 November 2016 at the Oxford University. The Polonium Foundation and the Oxford University Polish Society are the main organisers of the conference. The Foundation for Polish Science will be partnering the event. The conference is designed for young scientists, doctoral students and undergraduates of Polish origin who are conducting their research at universities and scientific institutes outside of Poland. During the annual conference, researchers have opportunities for networking and discussion of topics related to Poland’s involvement in the development of science and technology. The main goal of the event is promotion of science and strengthening of cooperation among Polish researchers working abroad. In addition to young researchers at the threshold of their scientific careers, scholars with renowned achievements will also take part in the conference. The conference “Science: Polish Perspectives” gives an opportunity to share your research and scientific experience with others. Speakers and poster presenters may register until September 5. Those who are more about hearing others and would like to join as participants may register until October 10. More information about the event is available on http://www.polishperspectives.org and on Facebook.